For the Octo Valley mechanic, see Splat-Switch. The Nintendo Switch (codenamed Nintendo NX during development) is a Nintendo gaming console and successor to the Wii U. Officially announced on 20 October 2016, the Nintendo Switch is a hybrid home/handheld gaming console, though it is marketed as mainly being the former. During its reveal trailer, footage for Splatoon 2 was showcased, and the game was officially unveiled on 13 January 2017 at the Nintendo Switch Presentation in Tokyo, Japan.. The Nintendo Switch was released on 3 March 2017. The Nintendo Switch consists of a tablet-like console that can be placed into a docking station. When the system is in the dock, game footage will be displayed on the TV screen. When the console is detached from the dock, game footage is displayed on the console's screen. The two "Joy-Con" controllers can be removed and used either as separate controllers (similar to SNES controllers), used together as a single controller (similar to the Wii Remote), or docked into a grip to give a more traditional experience. A traditional controller, called the Nintendo Switch Pro Controller, is also available. This controller has the same set-up as the Wii U Pro Controller, with the exception of the second analog stick being set below the face buttons. This controller is compatible with Splatoon 2. The console, like the Nintendo DS and Nintendo 3DS, uses ROM cartridges similar to the SD Card format, making it the first home gaming device to not utilize optical discs since the Nintendo 64. 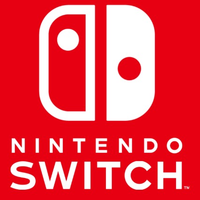 Players can also locally connect up to eight Nintendo Switch consoles to each other. Nintendo Switch Online is the suite of online services for the Nintendo Switch console. It was announced at the Nintendo Switch Presentation Event 2017 on 12 January 2018. Nintendo Switch Online encompasses both the online service itself and the Nintendo Switch Online App, used for SplatNet 2 and Nintendo's online party system. The service also offers cloud saves, though not all games support this feature such as Splatoon 2, meaning that there is no legitimate way to backup Splatoon 2 as opposed to the first game, which could be saved to an external USB storage device. The service was said to launch in Fall 2017, but was then pushed to September 18th 2018 in North America and September 19th 2018 in Europe. Until that time, users were given free access to a limited version. Nintendo Switch Online has different plans and membership options. An individual membership for one Nintendo Account holder costs US$3.99 / £3.49 / €3.99 for one month (30 days), US$7.99 / £6.99 / €7.99 for three months (90 days), or US$19.99 / £17.99 / €19.99 for twelve months (365 days). There is a family membership which encompasses up to eight Nintendo Accounts, having only one plan at US$34.99 / £31.49 / €34.99 for twelve months (365 days). Splatoon 2 players who sign up to the service and choose the twelve-month or family plan can receive a special set of exclusive in-game gear, the Online Jersey and the Online Squidkid V shoes. Shortly after obtaining the membership, an email is sent to the registered address (or the admin account if using a family plan), containing a code (eight if using a family plan) to redeem in the eShop, in which a box will appear in the middle of the Square containing the items. Check this article for additional references. The different play modes of the Nintendo Switch. The Nintendo Switch and footage of an early version of Splatoon 2. A few different ways Splatoon 2 can be played.